Release 13 comprises around 170 high-level features and studies(1). In addition to enhancements to existing services and features, this release saw the completion of the first set of specifications covering mission-critical services, in particular mission-critical Push-To-Talk, the essential functionality for LTE to be used by ‘blue light’ services for private mobile radio voice communication. A study was also completed on ‘isolated E-UTRAN operation’ (i.e. mobile-to-mobile) for public safety use, and the architecture for supporting emergency services over wireless local area networks was investigated. Work continued on security issues to ensure that new services are free from the threat of hacking, denial of service attacks etc. For the first time, serious investigations were conducted into network virtualisation and how this might be realised in the context of a 3GPP network. 3GPP continued to work on the characterisation of carrier aggregation across additional band combinations to provide increased bandwidth within the limited frequency allocations to individual operators. Radio propagation was further improved by studies on Multiple-Input Multiple-Output antennas for both uplink and downlink, and on ever more sophisticated beam-forming. A number of studies were conducted into the use of shared, unlicensed spectrum (particularly the 5 GHz Industrial, Scientific and Medical band), and a workshop was held in Beijing, China, to consider the designing of co-existence mechanisms for LTE to operate in unlicensed spectrum. This event did much to allay fears that Wi-Fi services might be negatively impacted by LTE in unlicensed spectrum. Work then began on specifications to complement LTE coverage over a licensed Primary Component Carrier via a Secondary Component Carrier using unlicensed spectrum. Other major advances achieved with the freezing of Release 13 included enhancements to machine-type communications, public safety features, small cell dual-connectivity and architecture, indoor positioning, single cell point-to-multipoint and work on latency reduction. Following a workshop in Phoenix, US, at which companies were able to share their views on the subject, in 2015 3GPP began work on the next generation cellular technology, or ‘5G’, with the aim of submitting a candidate technology to the IMT-2020 process. Meanwhile, work started on Release 14 and, at the end of the year, over 50 features and studies had been defined including Multimedia Broadcast Supplement for Public Warning Systems, mission-critical video and mission-critical data services, LTE support for Vehicle-toAnything (V2X), latency reduction, high power LTE for certain bands, channel modelling for LTE in bands above 6 GHz, robust call set-up for Voice over LTE (VoLTE) and next generation access technologies. A 3GPP description document - Overview of 3GPP Release 13 - is available on-line, giving a high-level view of the features that are included in the Release. (1) - This text was first produced for the ETSI Annual Report 2015 - Reproduced by kind permission. 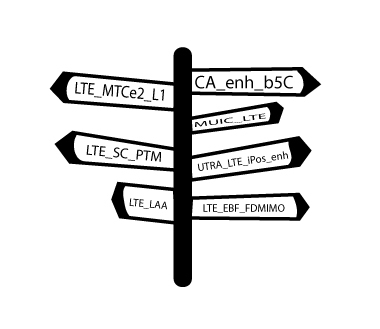 Video - "3GPP Status of Rel-12 and Rel-13"